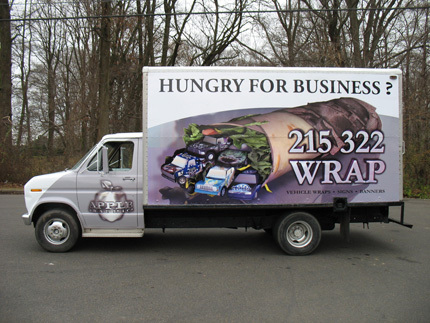 A great way to advertise a business is with vinyl graphics. 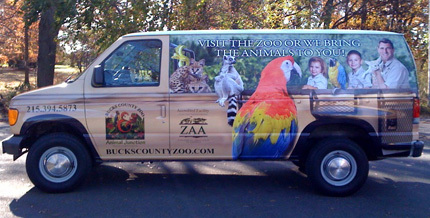 By applying vinyl graphics and lettering to a vehicle, it simply turns the vehicle into a moving advertisement. 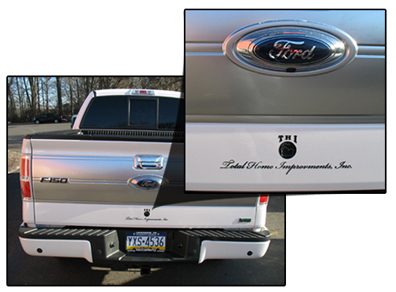 Vinyl lettering can change a plain car or truck into an attention-grabbing company vehicle. The options are endless with vinyl graphics and lettering. Apple Graphics has any color of high performance vinyl, reflective vinyl, and translucent vinyl, as well as chrome and carbon fiber. 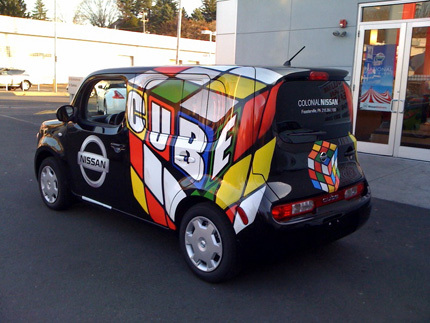 We do custom designs, so your vinyl graphics will be completely original and not look like any other on the road. Vinyl lettering can be used on any Car, Truck, Van, SUV, Boat, Motorcycle, Race Car, Hotrod, Jet Ski, ATV, and more. The vinyl graphics can be applied to the vehicle surface, such as doors, hoods, tailgates, gas tanks, and back of boats, as well as any windows. Check out our Vinyl Graphics Gallery and some of the vinyl lettering jobs we have done. 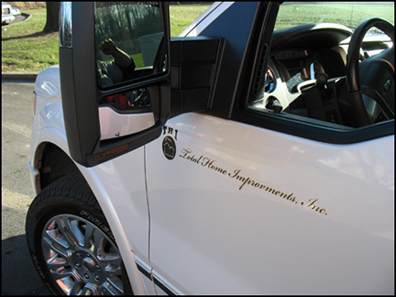 Apple Graphics just recently designed and installed vinyl graphics and lettering for Total Home Improvments. The design consisted of black vinyl lettering with a chrome outline, which made it really shine in the sunlight. It has a nice and professional look to it. 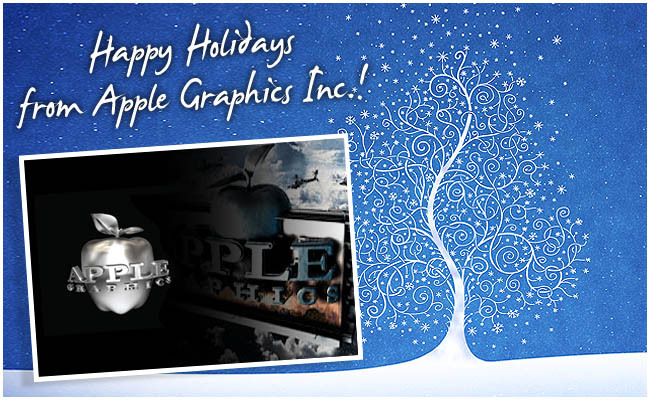 Apple Graphics can create any style of vinyl lettering you want for your business. We work directly with our clients to design the graphics and lettering, and to ensure that everything is perfect when the job is completed. We design the graphics according to the vehicle and type of business involved. Vinyl graphics and lettering can also be used on store front windows to help boost a business. They can make a store or business more appealing in order to catch people's attention.